Lake Oswego has a record-breaking number of candidates in this year's City Council race, creating an especially tough decision for residents. Those candidates include former Planning Commission Chair Randy Arthur, LO Moms community service organizer Emma Burke, Lewis & Clark College archivist Hannah Crummé, incumbent Councilor Jackie Manz, former Hallinan Heights Neighborhood Association Chair Donald Mattersdorff, International Leadership Academy director Massene Mboup, restaurateur Daniel Nguyen and former School Board Chair John Wendland. 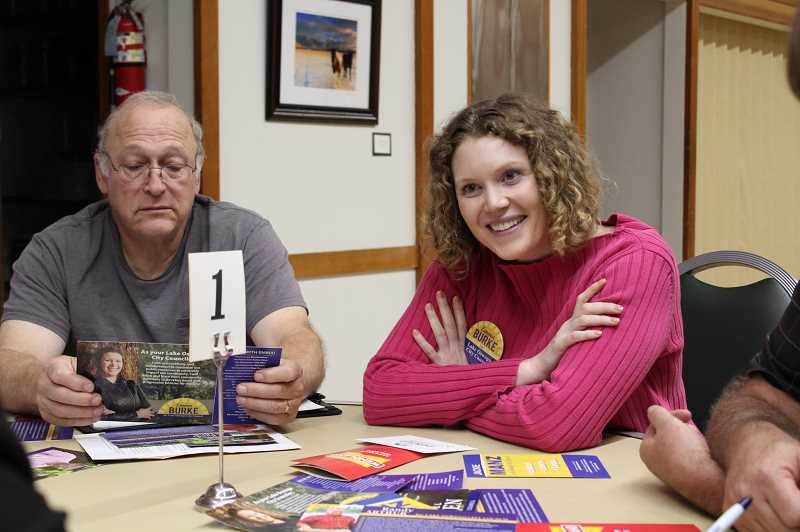 In order to help voters make their choices, the candidates are scheduled to participate in no fewer than six forums by the time election day arrives — including one hosted by The Review on Oct. 18. The off-the-cuff answers at the candidate forums are important, of course, but it can also be valuable to hear what candidates have to say when they have time to consider the questions and draft their responses. 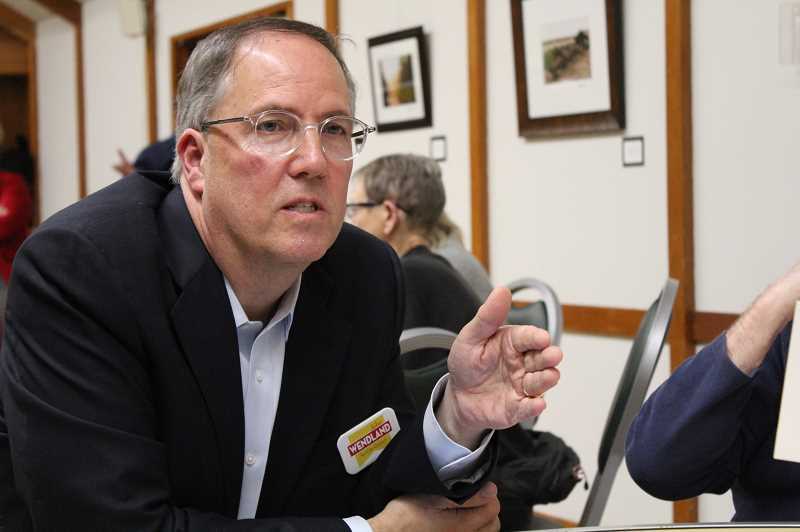 For that reason, The Review developed a list of eight key questions about Lake Oswego and sent it to each candidate to give them a chance to provide written responses. All but Crummé, who notified the City last week that she is no longer actively campaigning, replied. In choosing our questions, we sought to avoid overlapping with the questions that may come up at The Review's candidate forum, so some topics that aren't covered here may come up then. Due to space concerns, the candidates were asked to keep their answers concise. But even then, we're running the replies in two parts — four questions last week in the Sept. 27 paper, and four more in today's issue. Look for all of the questions and answers online at www.lakeoswegoreview.com. What actions and policies can the City Council pursue to further the goal of increasing diversity, equity and inclusion among the City's staff and elected officials? Daniel Nguyen: Back in August, I had the opportunity to attend "Say Hey!" — an event organized by Partners in Diversity. This event brings together the region's top business and community leaders to promote diversity in the workplace. I was pleased to see that the City of Lake Oswego was engaged as a Silver Sponsor and supports Partners in Diversity's mission and values. I support further dialogue with the Council's Commission on Citizen Involvement and the local, grassroots community groups to help explore ways we can further promote diversity in our community. John Wendland: "Oswego Together" should be our mantra. As a community and a city government, we welcome diversity and must be inclusive. As a city government, we must encourage engagement and dialogue with everyone. As people, tolerance must be at the forefront. Our hiring policies should be reflective of these tenets. I strongly support the recent actions taken by the City and school district officials to incorporate professional training for employees on diversity, inclusion and equity. Randy Arthur: The City must prioritize hiring and retention of qualified employees from diverse backgrounds. It should continue its efforts to maintain a supportive work environment in which City employees of every culture feel valued and are treated with respect, i.e., where employees of non-dominant cultures feel safe, appreciated and secure in performing their duties. Building on such a climate, the City must employ non-traditional recruitment efforts, such as one-on-one contact with current employees of diverse cultures and with outside nondominant-culture groups to build recruiting relationships. 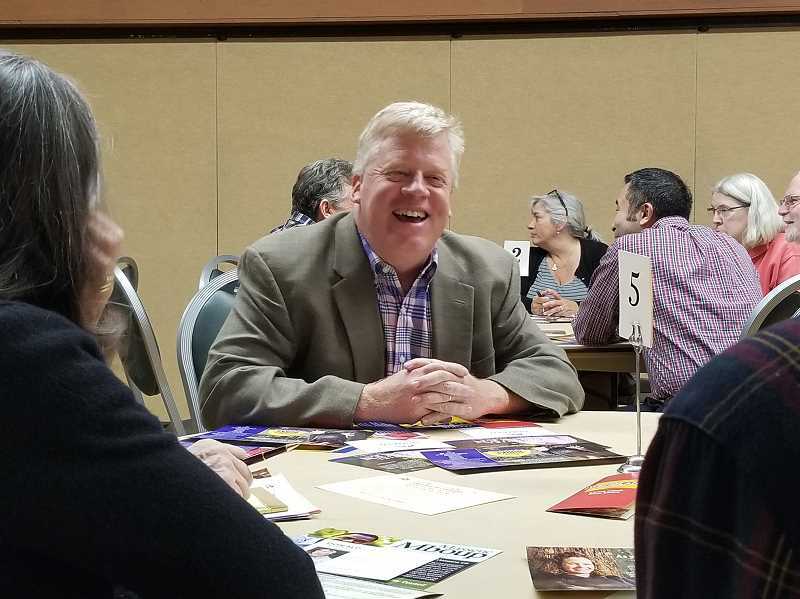 I understand the City now has a diversity, equity and inclusion (DE&I) "working group," including some city councilors, which is planning a diversity "summit" in Lake Oswego for April 2019. At the same time, the LOSD has established a Committee on DE&I, working with the district's equity team and equity director, in part to assess and develop strategies for hiring and retaining non-dominant culture staff. The City should consider adopting appropriate measures for increasing diversity among City staff and officials as may be recommended by the LOSD's committee for the school district. Emma Burke: Currently, Lake Oswego's only government-appointment Diversity, Equity and Inclusion committee is operating to advise the LOSD School Board. As the only candidate for City Council to be appointed to the DEI advisory committee, I'm given a unique opportunity to serve as a conduit between our public schools and our larger community. When applicants were sought for this committee, 91 qualified community leaders turned in applications, and I feel especially honored to be among the group of 22 chosen for our passion of promoting equality on a range of diversity issues, including racial, gender identity and preference, socio-economic status and varied abilities. As your city councilor, I'll bring the DEI advisory committee's best practices so the community will be more unified and ALL our residents will benefit. Multiple studies prove diversity initiatives promote everyone's success, and I will work hard to eliminate any exclusive behavior among City staff and elected officials. Jackie Manz: As a founding member the City's Equity, Diversity and Inclusion committee, I am fully invested in increasing awareness of the issues facing our city. Through my work with our police department and City management team, we have partnered with the LOSD and the grassroots groups Respond to Racism and LO for LOve to create lasting, meaningful change. Through these partnerships, a Diversity Summit will be held in 2019. I am the first to admit that I do not have all the answers, and that change is often slow. As someone who deeply believes in providing good governance for all of our citizens, it is incumbent on me to continue my work. Donald Mattersdorff: I support diversity, and acknowledge that Lake Oswego is not very diverse. But elected officials are a self-selecting group who choose to run for office. I do not support setting criteria for these positions beyond the candidates' competence to hold office. Let the voters decide. With regard to City staff, I think that we should hire the best-qualified candidates without regard to race, gender, etc. Perhaps we should advertise our vacancies more widely. I personally wish that more City staff also lived in Lake Oswego and voted with us. In summary, I don't support quotas, and I assume that as Lake Oswego grows and changes, the composition of its elected officials and staff will grow and change in parallel. Massene Mboup: From my perspective, we need an actual diversity liaison. This person should be tasked with the goals of enacting policies that have been effective in ensuring equity and inclusion to attract women and other ethnic groups to come and live and work in our city. These goals, given to the liaison, should be measurable and qualified with a narrative that having a diverse workforce adds value to our community. I also believe that the City should start recruiting more people of color in the police force and other City agencies. Affordable housing, housing below market rate, should be built to make sure that the people serving our city (workers of all trades), our young and aging folks can have access to housing. In recent years, the City has placed a high priority on funding pavement preservation and road maintenance. What are some other steps Lake Oswego can take to improve transportation options for residents and commuters? What will it take to ease the traffic congestion the city currently faces? Should some of those road maintenance dollars be put toward other transportation projects? Randy Arthur: The City should continue to work with TriMet to maintain and to establish improved bus service in Lake Oswego, bearing in mind TriMet's standards for expansion of service. One option is to have the City pay for and place bus shelter structures, satisfying TriMet standards, at strategic locations to support and encourage bus ridership. Also, the City should continue with its "one-dig" philosophy, through which pathways and bike paths are integrated with significant road repaving projects. Additionally, working with the City's Transportation Advisory Board and Budget Committee, much-needed additional paths, trails and bike paths should be funded through focused application of capacity-expansion transportation SDCs. New Oregon vehicle registration fees were imposed this year, and the City should receive some funding for road maintenance from that source. Also, Clackamas County may establish a vehicle registration fee that could provide additional road funding. We must also maintain our roads. I believe heightened road preservation enhances pedestrian and bicycle safety. Emma Burke: One step Lake Oswego can take to improve transportation options for residents and commuters is implementing a carpool lane during heavy commute times as a low-cost way to reduce traffic congestion. Providing rain cover at bus stops is another way to decrease commuter congestion by promoting ridership on mass transit. Despite our rainy climate, TriMet provides minimal (if any) weather protection at bus stops. Lake Oswego would need to invest in the expense for additional shelter options. Increasing accessibility to bike lanes can also help. Having sufficient sidewalks also leads to more safety and livability in one's neighborhood. Safe transportation options lead to higher quality of life, and transferring some road maintenance dollars to other transportation projects like bus shelters, bike lanes and sidewalks makes sense. Jackie Manz: I am extremely interested and involved in multi-modal and micro-transportation, but maintaining our current transportation infrastructure, our assets, is vitally important. I do applaud the work we are doing, especially when the "one dig" philosophy is employed. I have long been an advocate of pathways, bikeways and other means in which to move people around town and believe we should be doing more to that end — including funding, especially as it involves safe routes to schools. As to commuters, we have both challenges (Highway 43) and opportunities (micro-buses and dedicated corridors) to consider. How we will transport an aging population is extremely important to me. Now is the time to look at the future, especially in the realm of micro, last-mile transportation, and take the lead. Donald Mattersdorff: The road maintenance has been good and I support keeping our roads in good shape. Currently, we budget $5.5 million per year for streets, and I support increasing that to $6.5 million per year. I also support doing more to encourage alternative transportation, including pedestrian, scooter and bicycle transportation. We currently budget $23,000 for bike paths, and we don't even spend that. The money has accumulated, unspent in the account, over a period of years. All of our neighboring communities have done much more than we have to encourage alternative, so-called "multi-modal" transportation. Lake Oswego streets have become clogged with cars. Rush hour is a misery. If we don't think about and plan for the future, the problem will only get worse. I don't have all of the answers. But I do have some ideas which I intend to bring up for study and discussion if elected to the City Council. I hope to encourage a much stronger focus on transportation and traffic than the subject has received so far. Massene Mboup: I would like to propose other means of transit throughout our city: bikes and scooters and electric cars. Safety in recreation should be the driving force to ease congestion, and more activities that incorporate leisure should be made available to all citizens with safety at the forefront of these measures. But first we need to maintain the roads, because without creating safe and navigable streets, any initiative on alternate transit will not be effective. We need to build our infrastructure and sidewalks so safety is at the center of the investment. Our city also needs to look into the future and consider investing in sustainable transportation projects. In Portland, the city is investing in bikes, Zip cars and other sustainable transportation projects. Daniel Nguyen: Beginning last year and all throughout this summer, we've seen major improvements to our streets. Paving and road maintenance are key components of any transportation plan. I am pleased to see we are addressing the years of deferred maintenance and believe we need to focus on the need to continue these road improvement projects. As these projects are completed, I would support conversation about improving the bus service to Lake Oswego in partnership with Metro and TriMet. Aside from motorized transportation, I support a multi-modal trail along Highway 43 that can connect pedestrian and bike trails and provide more connectivity within our neighborhoods and to Portland. John Wendland: Road and infrastructure spending is a high priority. It was neglected in the past, and we have an $80 million infrastructure maintenance backlog. Taking care of our assets is a function of city government, and we need to take care of what we have before we fund new projects. With that said, closely working with Metro and TriMet to advocate for Lake Oswego's needs is important. Increasing frequency of bus schedules, adding bus routes and exploring using two lanes going in commute directions each day on Highway 43 would help traffic and provide more alternatives to driving. We can't ban commuter traffic from West Linn, Tualatin, Tigard and Oregon City commuters. And it is difficult to eliminate or change train schedules going through town. Large-scale transportation fixes are funded on a regional level, which far surpasses City resources, but we can and should have a voice at the Metro table. The City Council recently debated ideas for how to speed up the incorporation rate for properties that are outside of Lake Oswego but inside the city's urban services boundary. Do you think the City needs to speed up the process? What is the best strategy to do so? Massene Mboup: The incorporation of properties outside our city is a complex problem. I believe that the position of the City Council about annexation is friendly. Letting the people it will impact choose is the best way, from my perspective. Speeding up the process is not a best practice and will make our citizens unhappy. Lake Oswego does not benefit when citizens are forced to incorporate. Dialogue, using democratic processes like votes and surveys, would be a great way to approach incorporation. The City also should give incentives to the citizens that will be impacted by the incorporation. 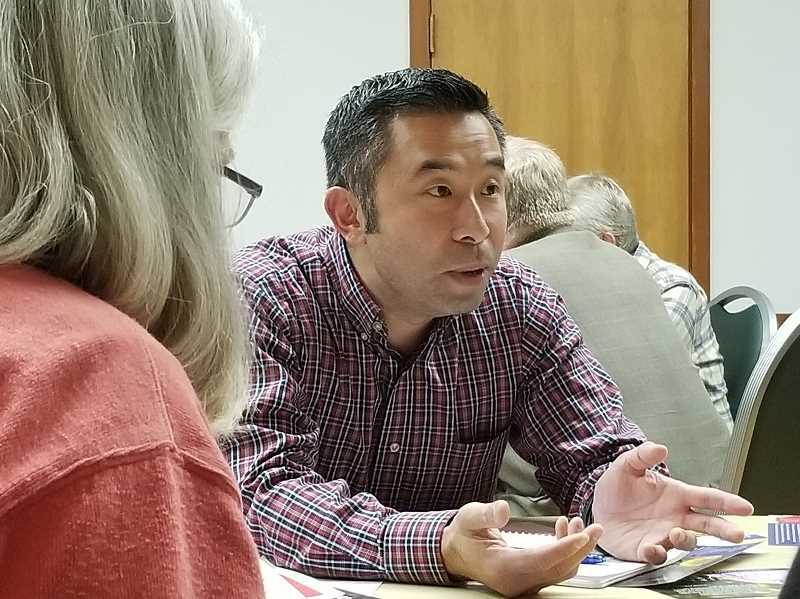 Daniel Nguyen: I think the City should try to speed up the process and move away from the highly inefficient, piecemeal approach to annexation. However, any process must be collaborative, with a goal of achieving voluntary annexation. I agree with the council's latest approach, with a vote brought to the residents after a robust outreach campaign outlining expectations, costs and benefits to the homeowner. John Wendland: I am opposed to forced annexation. Some folks consciously purchased their homes to be in an unincorporated area and there is no rush to force them in another direction. People living inside the urban services boundary deserve to make their own decision to incorporate into the city. I am supportive of the current direction of asking each different unincorporated area to vote next May if they want to join LO and make the financial commitment of increased property taxes and connection fees. Obviously, we would welcome them with open arms if they decide to incorporate. Randy Arthur: As the "beneficiary" of coerced annexation in another town, I understand discussion of annexation may be unsettling to unincorporated residents in affected areas and I oppose forced annexation of large-scale residential areas. The City's 2014 Comprehensive Plan anticipates that unincorporated residential areas within the urban services boundary eventually will become part of the city. Much additional study remains to be undertaken. 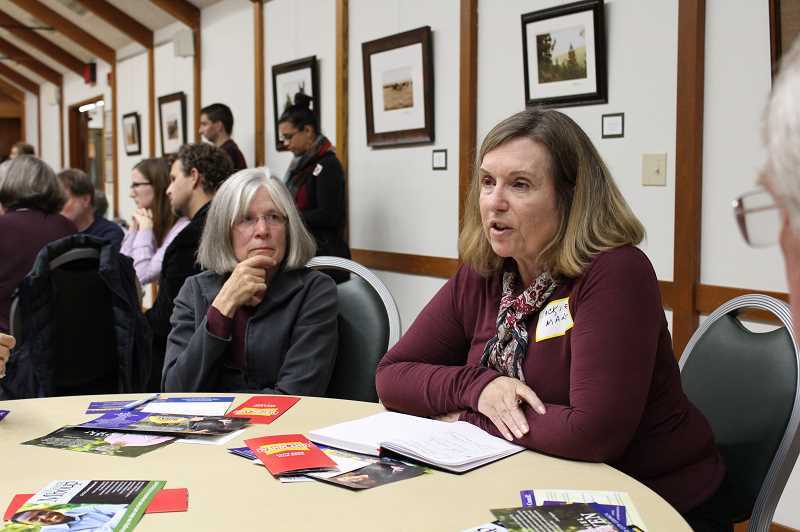 If annexation of any large-scale residential area is to take place, there must be extensive outreach and meaningful engagement, through which the City responds to questions from unincorporated residents. If annexation of any area is to occur, it should be done on a case-by-case basis in areas where there is a demonstrated interest in annexation expressed by unincorporated residents. Following adequate study of the issues, annexation elections should be held to allow unincorporated residents to choose whether to become city residents. I agree with the council's present approach of utilizing a limited "test case" vote involving the Southwood area. Emma Burke: I don't believe the City needs to speed up the process any more than its current proposal for a potential May 2019 vote by residents in the unincorporated areas if information shows it's in the City's fiscal interest to annex residents in the unincorporated areas into the City of Lake Oswego. Without knowing if it's financially responsible for the City to do so, I feel it's premature to make a decision. As soon as we have good information, I look forward to moving our community forward. Regardless of the outcome, we are neighbors. Some unincorporated residents currently even serve on City committees, despite not being City residents. If elected, I'll take office in January when a communications outreach program will occur if it's determined to be in the City's best interest to potentially annex these residents from the unincorporated areas, and I look forward to engaging the community in this process. Jackie Manz: No, I do not think that the City should speed up the process. In the direction the council gave to staff, annexation should be citizen-driven. Donald Mattersdorff: We have gone a long time with an irregular, jigsaw boundary on our western border. There are lots of spots which we might annex but have not, and I don't think it has been an important issue to City finances or to Lake Oswego voters. We should discontinue cherry-stem annexations, which are expensive and highly inefficient, but continue to allow contiguous groups of homes into Lake Oswego as they request it. I think that after a special vote, we should annex those neighborhoods that would like to join. I do not agree that county residents are "freeloaders." They pay taxes, support our schools and drive on inferior roads. Very often, they maintain their own water and septic services. Their use of our city services for free is strictly limited. With the median home price in Lake Oswego currently sitting at about $650,000, do you believe Lake Oswego has become unaffordable for middle-class families? What should the City do to increase the availability of affordable or workforce housing? John Wendland: The latest real estate boom has certainly changed the dynamics of home prices everywhere in the metro area. It is reflective of supply and demand, and Lake Oswego has been built out — there is very limited land left to develop supply. We do have lower-cost options in many parts of our city, however. The council has few tools to work with to control real estate prices. More importantly, city government should not be in the housing business. Reducing or eliminating System Development Charges can incentivize private developers to build lower-cost housing, but there are monetary tradeoffs and fair policy to develop if the City goes in this direction. 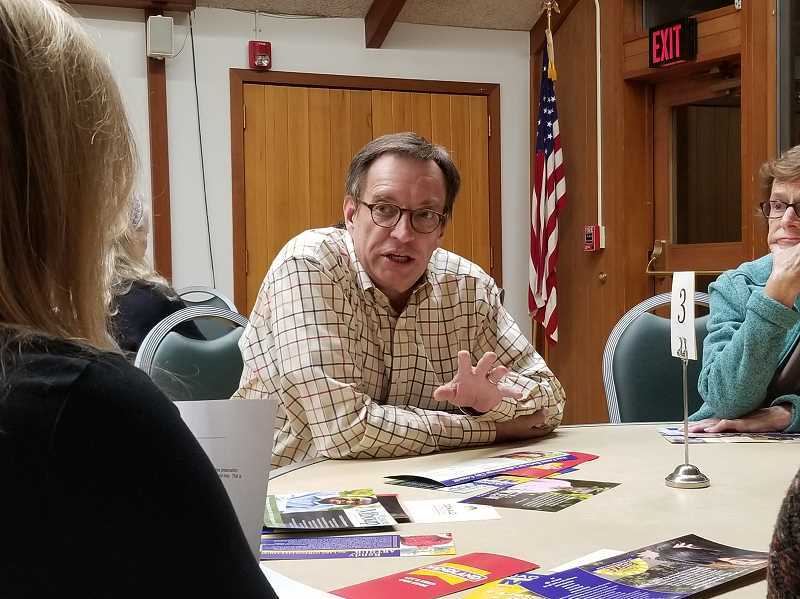 Randy Arthur: I do not believe Lake Oswego has become "unaffordable" for "middle class" families; however, speaking from experience, Lake Oswego can be an expensive place in which to reside. I agree with the City Council's present approach of studying incentives to increase the availability of workforce and senior/retirement housing. Such measures include streamlining the development process for Accessory Dwelling Units (ADUs). Other strategies that should be explored include imposing System Development Charges (SDCs) on demolitions of existing homes in residential areas, to encourage owners to retain and remodel more "affordable" homes instead of redeveloping them into more expensive new homes. Also, the impact of reducing SDCs on multi-unit housing, and possible merits of increasing design flexibility for multiple-unit housing units, where allowed, should be assessed. Some have also posited that a proposed bike/pedestrian bridge from Lake Oswego to Oak Grove, partially paid for by the City of Lake Oswego, will offer enhanced workforce access to our city. That proposal continues to be studied. Emma Burke: Yes, Lake Oswego has become unaffordable for middle-class families, as well as for singles and seniors. I will work to solve this issue with cottage housing so that residents who have spent their lives investing in our community have the ability to remain and keep contributing to our City's quality of life. In addition, I believe precedence for this housing should be given to school and City employees who bring so much value to Lake Oswego. Metro's study about cottage housing in Wood Village calls it "a new model of clustered single-family housing that provides a transition between single-family housing neighborhoods and higher-density areas, creating a development pattern that maximizes land values, reduces infrastructure costs and provides housing next to services ... (I)t's ideal for retirees wanting to downsize but remain in a single-family neighborhood, as well as for small families and single-parent households desiring homeownership." Jackie Manz: As a built-out city, the most important thing we can do is to preserve our older housing stock. Much of what is happening in real estate depends on personal choices of land owners and the prevailing market forces. I live in a neighborhood with a number of small rental homes, and it is encouraging to see that rental ownership is still a viable option for property owners. Not every small house is torn down. Having a diversity of rental stock in many neighborhoods is much more inclusive than massing affordable or workforce housing into one particular building or location. I welcome ideas from our citizens on this issue. Donald Mattersdorff: Lake Oswego has become less affordable. So has Portland. So have all of the communities around us. Six hundred people move to the Portland area every week. Pressure on housing has become intense, and I think it will likely become more so with time. One good idea, I think, is to build a pedestrian/bicycle bridge connecting Lake Oswego with Milwaukie. Milwaukie and Lake Oswego are just a few yards apart, yet they have no connection across the river. Among other things, such a bridge would allow people to work and play in Lake Oswego, and yet still afford a house in Milwaukie, where prices remain more affordable (although they are also rising). I can picture such a bridge giving new impetus to economic development on both sides of the river, including the Foothills district. I oppose a car bridge, however. We should also better enforce our code to protect our stock of small, affordable houses. The wholesale destruction of these homes in favor of absurdly large homes has damaged the affordability of Lake Oswego. I support placing further restrictions on flag lot developments, which bypass our code and accelerate the destruction of these small, often charming homes. 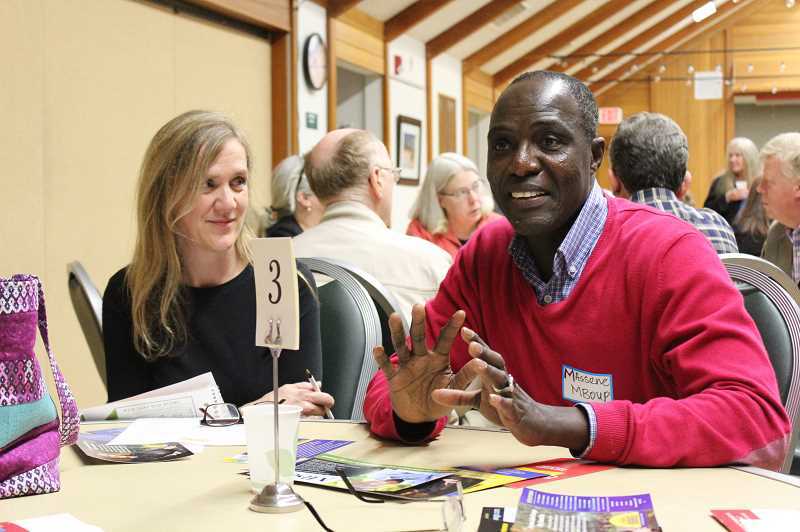 Massene Mboup: For most families, home ownership in Lake Oswego is not obtainable. I believe that as a city, we should ensure that we have properties that are protected by the City to make housing and home ownership obtainable to every person who works and thrives in our city. I would advocate for City assets to be used in a manner that gives working families, businesses and renters the opportunity to live in the city they serve. Daniel Nguyen: Lake Oswego has become unaffordable for many families with children that can benefit from the great schools and quality of life here. For retirees that have lived here for a long time and want to downsize and age in place, there are few options. And for those that work in the schools or in the service industry, housing options are even more limited. There is no silver bullet that will resolve this affordability problem. However, I believe there is a combination of things that we can do as a community to relieve the pressure on the housing market. I believe the City's recent decision on accessory dwelling units (ADU's) can make an impact on the inventory of smaller homes that might be occupied by seniors, students and working families. As a city, we could incentivize construction of housing aimed toward buyers with incomes closer to the median. The City could also consider policies that encourage developers to consider other options besides complete tear-downs and shift away from the million-dollar homes shoehorned into tiny lots.